Mountain TEA Studios is a creative life partnership between visual artists Mark Flowers and Kristy Higby. Making and teaching art has been at the heart of their life’s work for 41 years. Mark & Kristy’s studio work includes mixed media narrative paintings, sculptural artists’ books and socially relevant documentaries. I have always made use of painting to understand my relationship with the world. My works are stories – small insights and reflections of my experiences. In seeking meaning in the world, I am sharing my story in hopes of making common connections with others. My work has many layers; formally, it is about shape, objective and non-objective imagery existing in the same field. The interaction of image, shape, and surface appeals to me aesthetically. Conceptually, they are about telling small stories of insight. I see my work as visual poetry making sense of the world around me. Uncertain Relations is a series that explores the connections between poem and reader, art and viewer, poem and sculptural form. Poems that involve me the most are ones that reveal themselves to the reader in a captivating and measured way. That is also what attracts me to artists’ books as an art form. Like a well-told story it can make the viewer curious about what’s next as well as engage them through touch. When a particular poem on a page in a printed book makes you stop, draw in a breath, and not want to turn the next page it deserves to stand-alone. The artist book allows for that and adds a physical and tactile dimension to the poem’s voice. An important personal aspect of this series is a very comfortable connection for me between my interest in art and technology (specifically digital imaging) and my aesthetic preference to work with certain physical materials, tools, and processes. I would like to thank writers Joel Chace, Liz Huntington, and Carson Higby-Flowers for allowing the use of their poetry and prose in this artists’ books series. In “The Other Brother” Kristy Higby has rendered a cinematic miracle, illuminating the extraordinary life of Jessie Flowers — a solitary, mysterious and troubled man who found solace and meaning in little else but his art. When Higby first began this project, Jessie was not much more than a family story, a talented eccentric who spent most of his time holed up in his shack doing his artwork or writing in his journals and who had at one point chased his visiting brother and children away with a loaded shotgun. But after Kristy spent years immersing herself in the thousands of letters, journals and sketchbooks he left behind, and interviewing Jessie’s devoted sisters and his estranged brother Tom Flowers, a successful artist and college professor, another more complex picture of Jessie began to emerge. 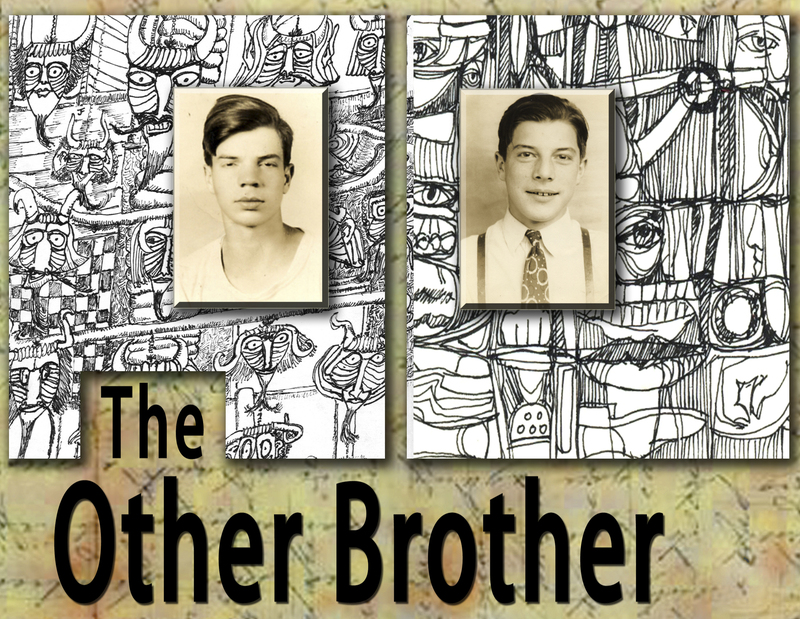 In “The Other Brother” Higby weaves together interviews with the sisters, who knew Jessie best, with interviews of Tom Flowers, who hadn’t spoken with him since they were young men. The result is a living portrait of a man who has depth and compassion and who wasn’t without a sense of humor and who also was a very good writer. One of the most wonderful aspects of the film is how Higby pairs drawings and sketches by the two brothers. Jessie’s work feels crowded, humorous and primordial while Tom’s feels much more open, airy and contemporary. Yet by pairing the images Higby sets up a kind of artistic dialogue between the brothers that somehow transcends their decades of estrangement. Toward the end of the film, we sense that Tom, looking through family photographs and Jessie’s sketchbooks, gets to know his brother in a way he never knew him in life. And that, of course, is what happens to us as we watch “The Other Brother”. By the end of the film, Higby has woven together so many layers of Jessie’s life in such an artful and profound way that ultimately we feel the man is in the room with us, flesh and blood.